It is a small herb,20-30 cm high,covered with numerous hard prickles. Leaves are simple,dropping, oblong leathery, smooth and apex rounded. Flowers dark red and pods upto 205. cm long curved, or straight, greenish grey and very hard.The manna or the sweet exudation on the leaves and brances, is known as turanjabeen on which the Israelites were fed in the wilderness. This secretion is not obrtained from the plant anywhere out of Persia and Bokhara it is collected in Iran and exporated to india which is known as’Turanjabeen-e-Khorasani”. There is no evidence to obtain manna from indian variety of the plant. It occurs in the form of little round granular tears,varying from the size of mustard to that of hemp seed,mixed with leaflets and stocks of the plant and other impurities. Camel likes this plant very much and eats it happily. Hence it is known as camel thorn. It has sweet taste and a gentle lexative effect. Hence it is considered a good drug for children preganants and those adults who have delicate health. It is expectorant, diuretic and cholagogue. 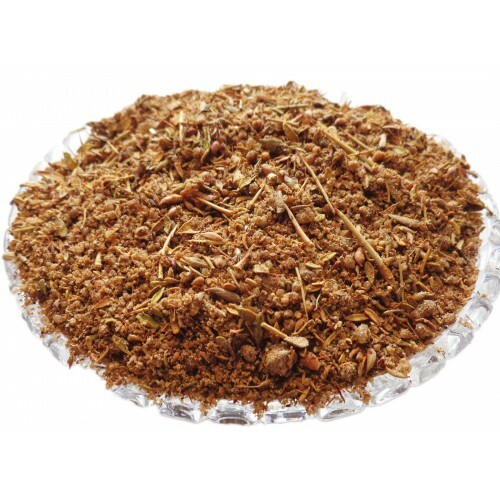 It is beneficially used in chronic cough,suppression of urine and biliousness. cleansing the bowels i.e. Evacuation. Also useful in cough. It is thrist-quenching and cholagogue.